Miami Music Week is all about record label parties that showcase their electronic dance artists. Casablanca Records hosted a private, invite only event for both fans and industry professionals at the Dream South Beach’s rooftop pool. The pool party featured live sets, sunny weather and plenty of drinks and food. Taking place on Thursday afternoon, the event set the perfect vibe before the weekend madness. Flooding the Miami Music week party schedules of flocking fans, the who’s who of record label’s love to organize their own and feature their talent. Standout mega label, Republic Records is known for signing some of the world’s most illustrious pop stars but what you might not know is their dance sub label, Casablanca Records is a powerhouse in its own right. Live performances throughout the day and special guests consisting of Don Diablo, Autograf, NOTD, Black Caviar, Dzeko, Felix Cartel, SG Lewis, Netsky, Phantoms, M-22, Felix Jaehn and more highlighted the event. 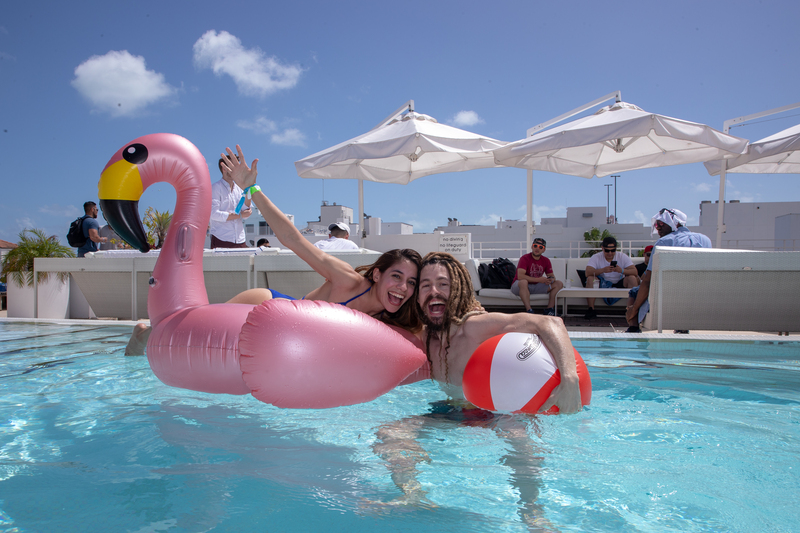 Hosted in partnership with Lyft, Splice, Billboard Dance and Miami’s premier radio station HITS 97.3, The Essential Electronic Pool Party went off without a hitch. Casablanca Records is home to both superstar artists and rising talents the likes of Stromae, ALMA, Kungs, Martin Solveig, Tiësto, Felix Jaehn, SG Lewis, Netsky and Phantoms. Be on the lookout for releases from all of these artists as well as the future music coming out on Casablanca Records.